Most attractive careers share some common characteristics including good benefits, promotion opportunity, and salary increases. However, law enforcement offers a few benefits and advantages not readily found in other career paths. Law enforcement offers candidates a diverse selection of jobs and career options to choose from. Whether you want to work at the federal, state or local level you'll find a plethora of career options available to pursue. At the local level career options include municipal, corrections officer, private security guard, police officer, investigative officer, court clerk, criminologist, paralegal, lawyer or even judge. At the state level career options include such jobs as patrol officer, state trooper, state highway patrol, investigative officer, lawyer, judge, and bailiff. At the federal level there are either investigative or uniformed career options to choose from. Investigative-type jobs include positions with the Drug Enforcement Agency (DEA) or the Bureau of Alcohol, Tobacco, Firearms and Explosives (ATF). Uniformed jobs include positions with the Secret Service or Federal Bureau of Investigation (FBI), and other federal law enforcement agencies. Although unfortunate, domestic and international crime is on the rise and security is a major concern for our nation--as well as other nations. Increase in crime, combined with an ever growing population, creates a never ending demand for qualified law enforcement professionals. According to a report released by the U.S. Department of Labor, Bureau of Labor Statistics the demand for qualified law enforcement professionals is expected to continue at a rate higher than that for most other occupations through the year 2018. And while local and state law enforcement officer can be laid off they can quickly apply for work with another law enforcement agency. In addition to job security, most law enforcement professionals are provided generous pension plans and attractive retirement packages. This is especially true for law enforcement officer working at the federal level. Federal law enforcement officers generally receive annual salary increases and most federal employees receive special salary rates to compensate them for expected overtime and relocation. Law enforcement availability pay (LEAP), equal to 25 percent of the employee's base salary grade, is provided to federal employees (most frequently federal officers) who are expected to work extended overtime. State and local law enforcement employees are also paid overtime time pay--typically, on a per hour basis. Many law enforcement officers and employees are also provide special allowance to compensate them for work related traveling, lodging and living expenses. Many police officer can retire at half-pay (half their base salary) after only 20 years of service and many federal officers and employees can retire at full retirement pay after 20 years in the service. The enables most law enforcement professionals the ability to pursue another exciting career after only 20 years of service if they desire. 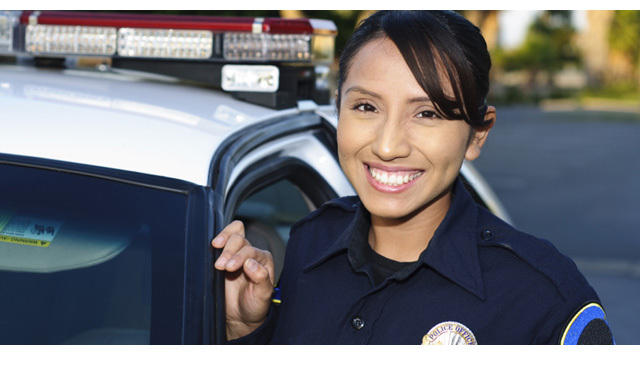 Law enforcement and criminal justice careers are in our opinion offer some of the most attractive and rewarding benefits of any career fields. But even if the benefits mentioned above were non-existent a career in law enforcement or criminal justice will still provide you with one of the most exciting and rewarding career experiences available. Professionals who pursue a career in law enforcement and criminal justice do so because they want to, not because they have to.